Purchase a minimum of RM30 on any fuel (PETRONAS Primax 95, PETRONAS Primax 97, PETRONAS Dynamic Diesel, PETRONAS Dynamic Diesel Euro 5) and get the receipt (“Proof of Purchase”). Participants can submit as many entries as they wish. However, only 1 submission per Proof of Purchase. 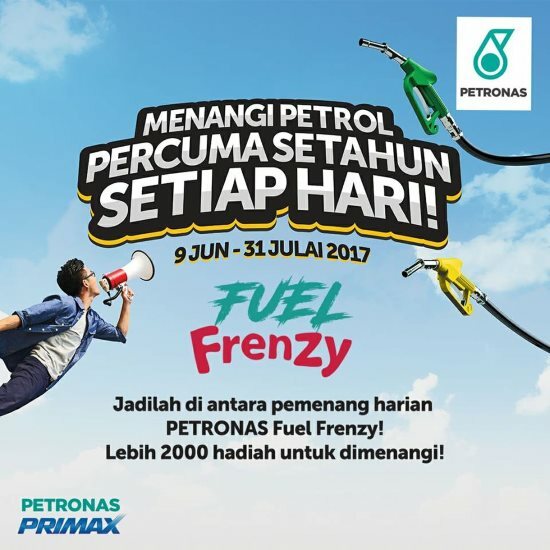 Visit Petronas Fuel Frenzy Contest page for more details.